Stephen Schneider, global warming advocate, (interview for Discover magazine, Oct 1989). Property as property proper is matter. It is material. It has height, width, depth and weight (mass). One could extend this to other attributes of matter such as current, time and temperature. Thus energy could be considered property which can be bought and sold. Though something being matter does not mean it necessarily can be bought and sold, many things have no ownership, or shared ownership. Property as matter is fixed in time and space. It can shift in time and space, but it occupies space such that its presence in one place precludes its presence elsewhere. (Exceptions are when something is considered as a whole but can be split up, like air and water). Ownership of an item means that it is your possession or under your oversight. You get to determine how it is used (within the confines of legality). The limitation of locality and the fact of ownership means that a person can take an item, or place a claim to an item that is not his. Such behaviour is considered theft. It would include taking a computer from work, tomatoes out of your neighbour's garden, or shifting a boundary marker. Contrast this to what is referred to as intellectual property. I have suggested we use an alternative term to prevent equivocation on the word property; such as "concept", "conceptualisation", "idea", "abstraction", or perhaps a Greek or Latin derived neologism. I will use concept in this post. Concepts are information. Information does not have qualities of matter. It does not consist of length (in the usual sense), mass, time, current, or temperature. Thus it is non-material. It is still a real entity, just not a material one. Therefore concepts are not restricted by the laws of physics. Concepts can be duplicated. Concepts can be lost or destroyed. Greek fire is a concept that has been lost. There is no conservation of matter or energy law that corresponds to concepts. This means that concepts cannot be stolen in the way that property can be stolen. If you give someone else your concept you still have it. Because you still have your concept you cannot say that it has been removed from you. You can still use your concept. The difference is that now someone else has access to the concept and can use it as well. I used the example of an axe. If someone steals your axe then they have it and you cannot use it. But if someone sees your axe and makes his own then he has not stolen your axe, you still have it. He now also has an axe because he has used your concept: the idea of attaching a splitting wedge to a stick. Concepts can be mildly to very complicated. Complexity does not correspond directly to usefulness. And less complex concepts are not always obvious before the fact. A less complex solution to a problem may replace a more complex solution because of simplicity and cost. I have only recently seen the cartoon Coffee with Jesus. It's theologically variable, and the commentary is somewhat wry. I found this strip insightful. We are in general skeptical of government efforts to foist off difficult tasks onto businesses and other private parties, who already are expected to act as tax collectors (especially of sales taxes), immigration inspectors, and more. Judging by the fact that pirated DVDs are openly for sale in practically every city of any consequence in these United States, we have our doubts about the police authorities’ seriousness in these matters. the worst offenders would of course have no incentive to do so, their guilt being plain and undeniable. Instead, the full-time pirates would have a very strong incentive to simply switch to another website, or to a proliferation of websites, or to deploy any number of commonly available technological solutions to defeat government attempts to block them. I concur with their concerns here. I also find the modern practice of punishing the innocent to decrease the possibility of crime less than satisfactory. Frequently such laws do little to address the law-breakers yet are onerous on the law-abiding. Moderns combine this with an unwillingness to give adequate punishment for crime. Straitjacket all men to prevent crime but minimise the guilt of those who still pursue it. All conservatives believe in protecting property rights, and most conservatives support the protection of copyright as an extension of that principle. This assumes that property is analogous to intellectual property. We favor an Internet that is largely free of regulation and taxes; we also favor observing the Eighth Commandment. While there are a few crusaders against the very idea of intellectual property, there are few questions of principle at stake here, most reasonable people having long ago made up their minds about property rights (generally for) and censorship (generally against). Unfortunately they miss that this is precisely the debate we need to have. Property is material. A shovel is an object that exists in space and time. So is a car, and a table. Intellectual property is not material, it is information. Whether we consider copyright for written work; or patents for processes, machines and molecular shapes; we are not dealing with an object fixed in space and time. Thus the claim that these things actually are property, albeit intellectual property is incorrect. Now one may argue that such things should be safe-guarded for various reasons, but we need to establish these reasons. Asserting an analogy to property is not enough. Is the analogy valid? A smile is more similar to the words of a book than the paper is, yet no-one thinks that smiles should be subject to copyright laws. The extension of property rights to intellectual property rights is not obvious regardless of the number of conservatives (or liberals) who subscribe to it. The terms may share the word "property" but that does not prevent the latter being a misnomer. To discuss intellectual property one must grasp this distinction. Failure to understand the distinction renders one's opinion of little value, not because his opinions do not matter in general, but because he doesn't have the intellectual concepts needed to address the issue. It is similar to discussing causing death without reference to intent: if you don't understand that there is a difference between murder, self-defence, and manslaughter, how can you address such things? 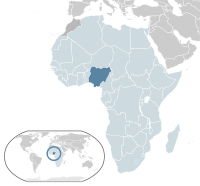 Nigeria is the most populous African country; it has a large number of Christians. There have been significant conflicts between Muslims and Christians over the years, with an insistence on Sharia law by some Muslims. was poised to slit the throat of his Christian victim... when he was suddenly struck with the weight of the evil he was about to commit. Dropping his machete, the man ran to the nearest church, asking a pastor for help. When the call came, the ministry leader was grieving the loss of several close missionary friends who were murdered in the Yobe State slaughter. He immediately met with the confessed killer and joyfully led him to Christ. He is discipling him in a secret location because of the extreme danger. Unfortunately the man's children were targeted by group he defected from. Upon discovering the man's conversion to Christianity, Boko Haram members invaded his home, kidnapped his two children and informed him that they were going to execute them in retribution for his disloyalty to Islam. Clutching his phone, the man heard the sound of the guns that murdered his children. I was leading the congregation in prayers. Our eyes were closed when some gunmen stormed the church and opened fire on the congregation. Six people were killed in the attack and 10 others were wounded. We need to remember and pray for our brothers who are persecuted thru-out the world, and we remember Jesus' encouragement that our kingdom is of another world. Interesting article from PewResearch. They give the number of Christians per country from 2010. I have a quibble about how they define Christian, thus the West may be over estimated as well as the number of Catholics in South America. The number in China is probably a little low. I don't think they should include groups that deny the deity of Christ, though this will not affect the numbers considerably. And of course atheists will laugh at anything that confronts their unbelief. But laughter and derision are no substitute for logic and scientific reasoning and discourse. 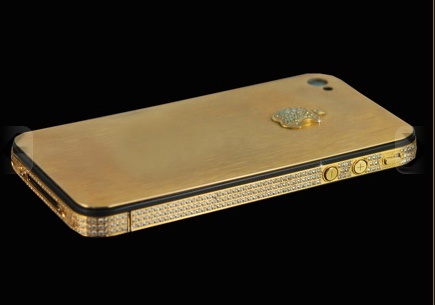 Luxury phone goes for an obscene amount of money. It has a gold casing with over 500 diamonds. The carrying case is made of platinum and gems. I don't think I would (I hope I wouldn't) bother with this, even if I considered £6,000,000 small change. Why was this made? Who would want one?